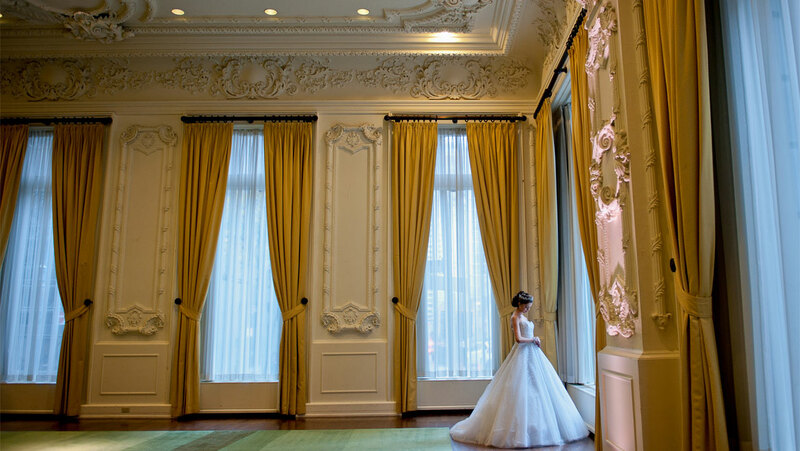 The Omni King Edward Hotel is the ideal place to host a Toronto wedding. 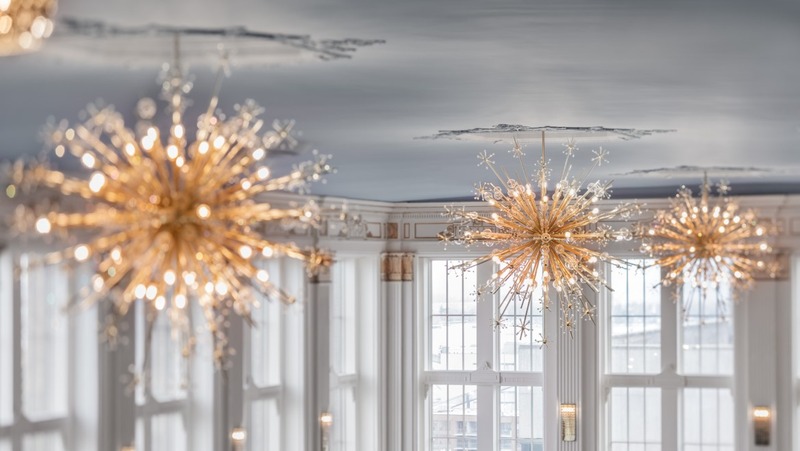 Elegant and grand, the Windsor, Sovereign, Vanity Fair and Crystal ballrooms can each accommodate up to 300 people, in a variety of styles, to suit your special event. 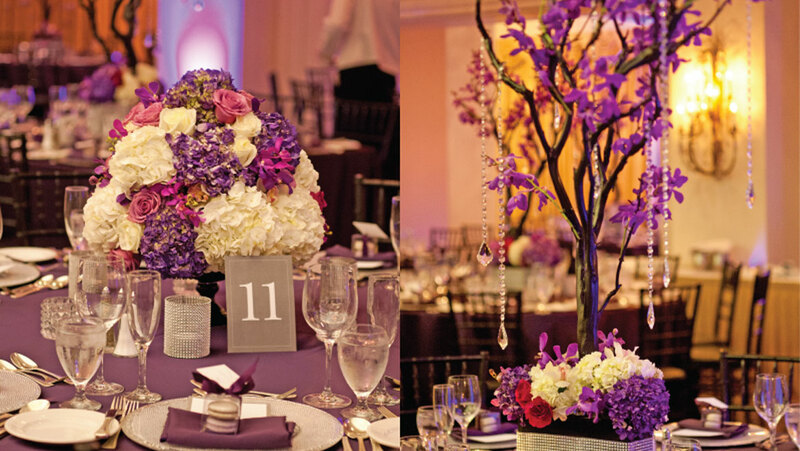 All of our historic venues come with the unmatched service our historic hotel is known for. 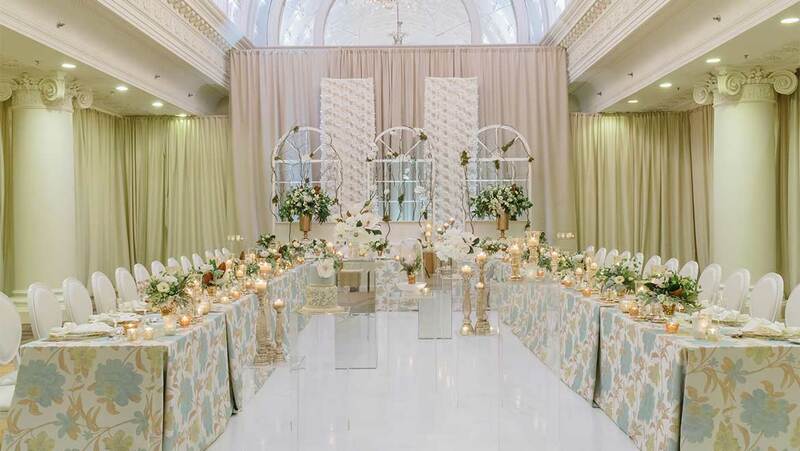 We will be featured in the Fall & Winter 2019 issue of Weddingbells as one of the 2019 hotel wedding venues of the year. 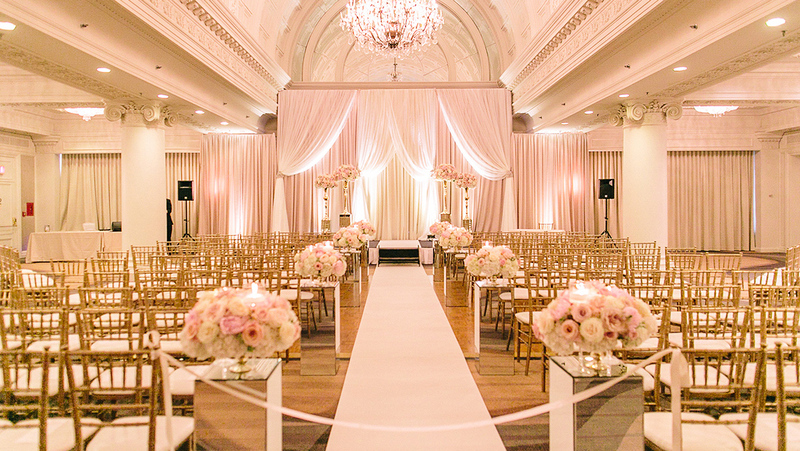 After its $6.5 million renovation, the Crystal Ballroom is sure to make all your wedding dreams come true. 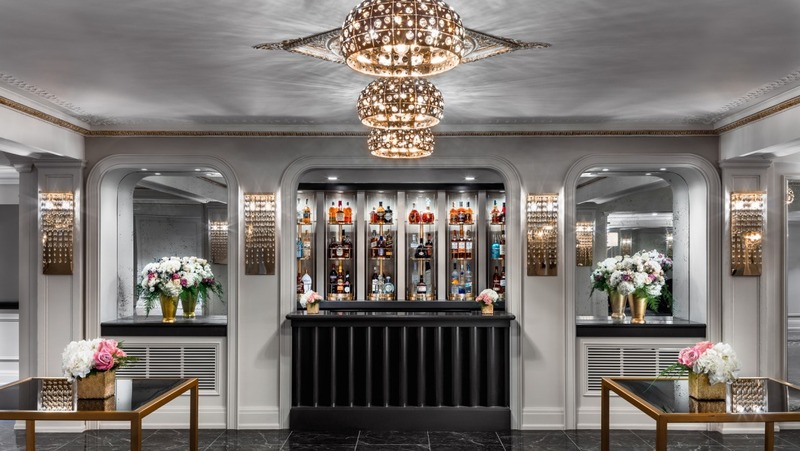 With 5,000 square feet of space, the newly renovated Crystal Ballroom is sure to exceed all of your expectations. The Ballroom can accommodate up to 280 guests for dinner and dancing. Enjoy a timeless space with ornate moldings, floor-to-ceiling windows and stunning panoramic city views. 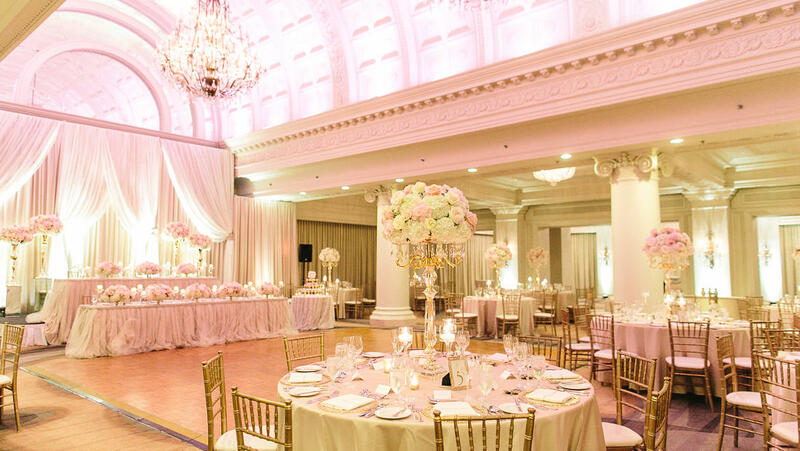 Our largest ballroom offers a unique arched dome ceiling with two large teardrop chandeliers. 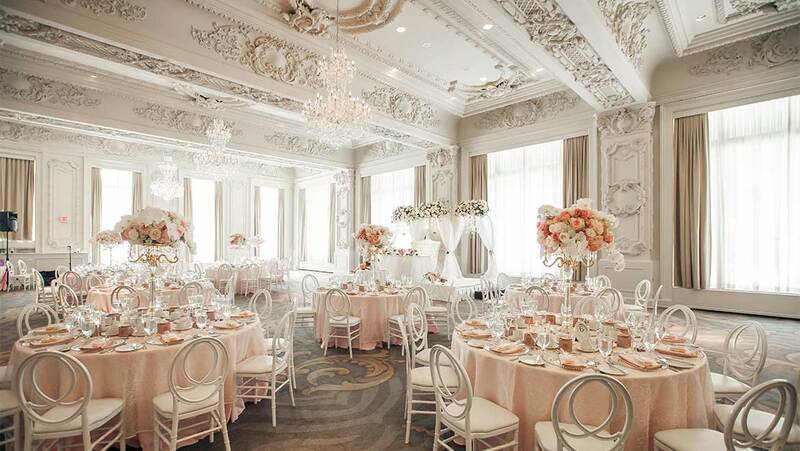 This lovely ballroom is ideal for an event with up to 280 guests. 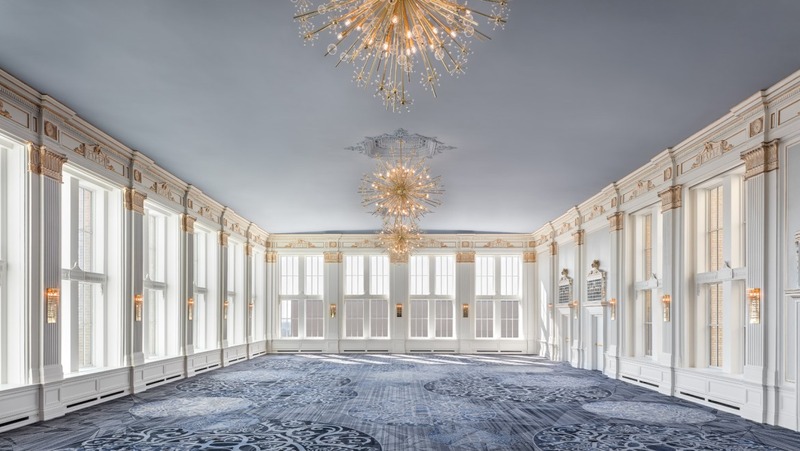 Our premier ballroom has been preserved with the assistance of the Historical Society of Toronto. 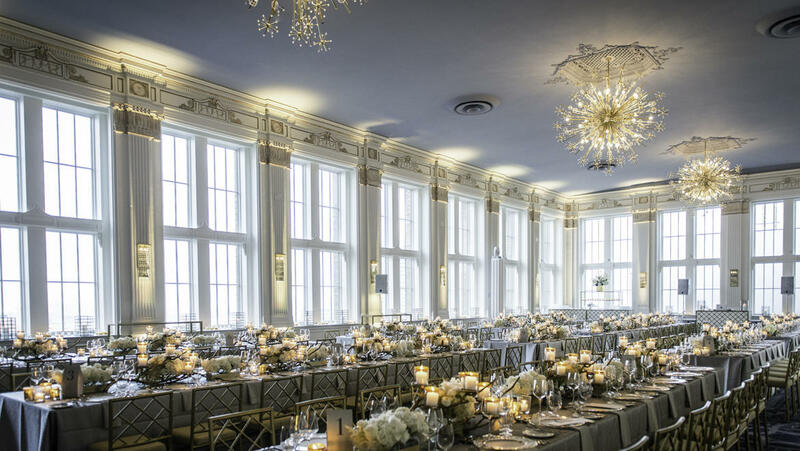 Located immediately off the Hotel Lobby, the Sovereign Ballroom features 24-foot high ceilings, beautiful Edwardian architecture and floor to ceiling windows. 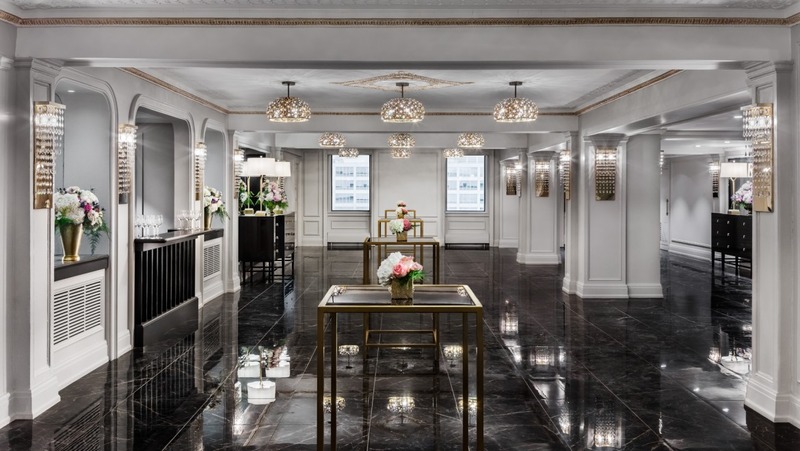 The Sovereign is available for an event of up to 190 guests.